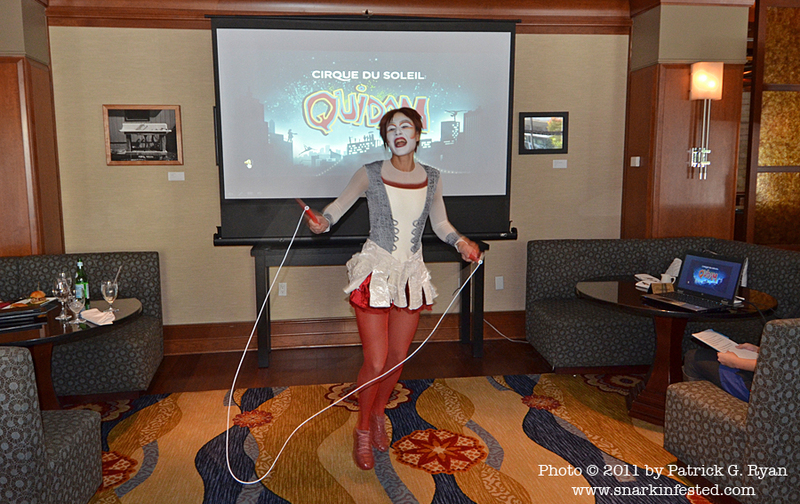 10/25/11 Adrienn Banhegyi is one of the Skip Ropers from Cirque du Soleil’s show QUIDAM and she gave a sneak peek of her performance at the Renaissance Dupont Circle Hotel on Tuesday afternoon. QUIDAM comes to DC’s Verizon Center for a very limited engagement – Nov 16-20. CLICK HERE FOR VIDEO SNIPPET!